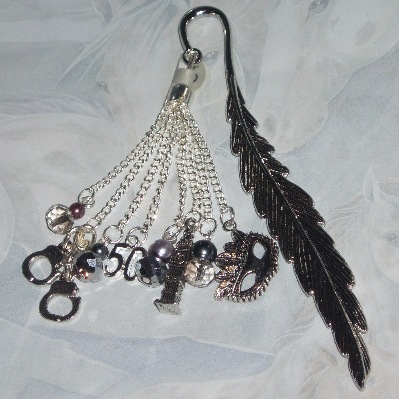 Fantastic Fifty Shades of Grey Bookmark with large 120mm feather blade, chain tassel, 4 crystal and pearl dangles and your choice of 4 charms. 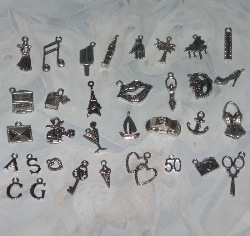 Choose from Helicopter, Handcuffs, Mask, Key, Ice Cream, Cocktail, Big Ben, Eiffel Tower, Palm Tree, Laptop, Piano, 50 and many more charms. Just what you need to mark your page when reading the books. 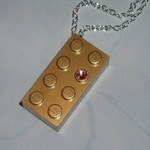 Fantastic gift for any 50 Shades of Grey fan. Laters, Baby. Choose 4 charms from the selection shown above, plus a pair of handcuffs.